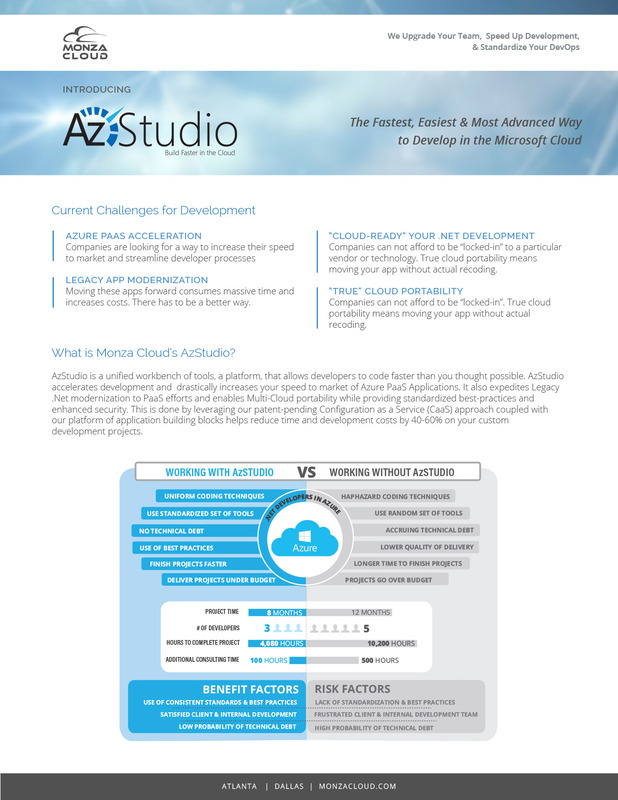 AzStudio is the fastest, easiest & most advanced way to develop in the Microsoft Cloud. AzStudio is a unified workbench of development tools, a platform, that allows .net developers to build code faster, upgrading your teams speed & processes and standardizing your devops. Other benefits include lowering development costs by 40-60%, creating best-practices standardization for development teams and accelerating the entire development process. AzStudio leverages our patent-pending Configuration-as-a-Service (CaaS) approach along with our platform of application building blocks to help reduce time and development costs by 40-60% on your custom development projects and greatly accelerate your time to market. 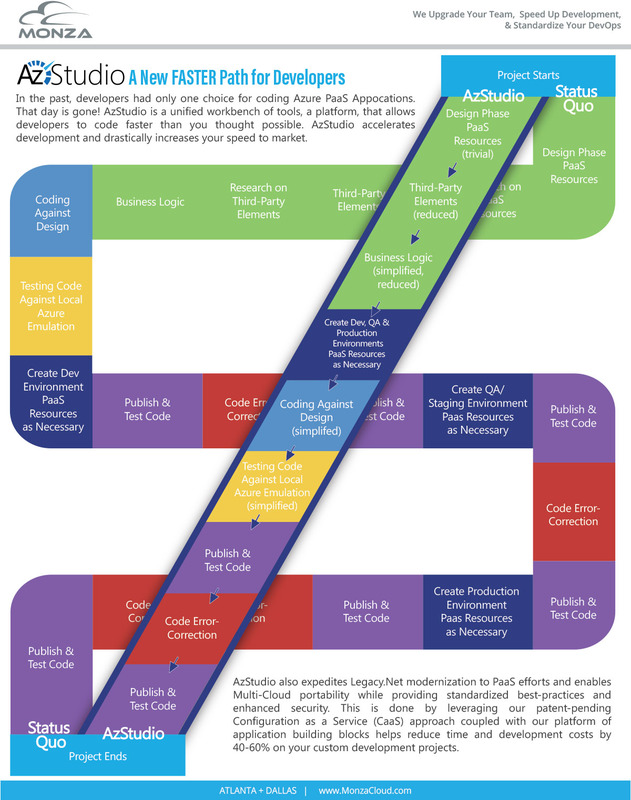 AzStudio also expedites the legacy app modernization projects. AzStudio development tools were pitted against a straight conversion to Azure PaaS using only Azure’s APIs. This is a great example of the speed to delivery provided through AzStudio’s Azure Development Tools. 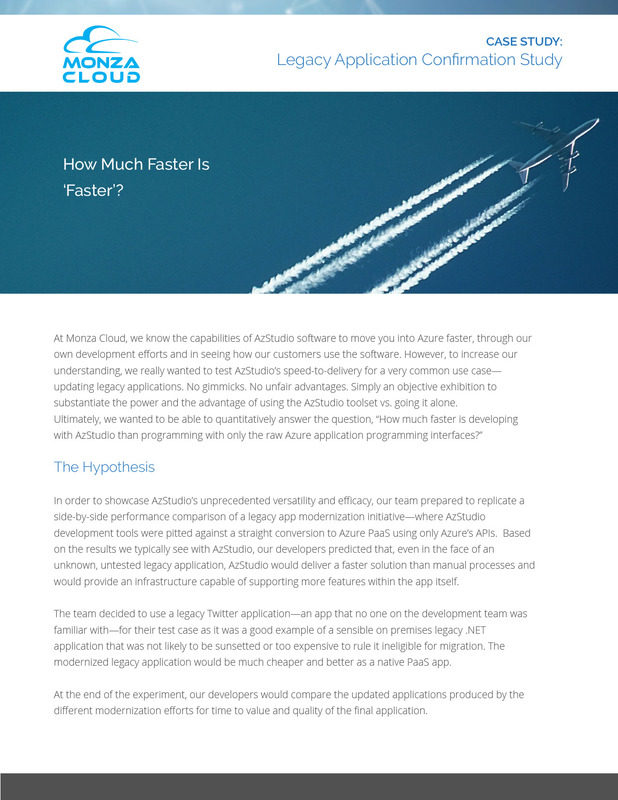 In short, AzStudio saved up to 65% in time & costs for modernization of a legacy app. Read on to find out how this worked out. 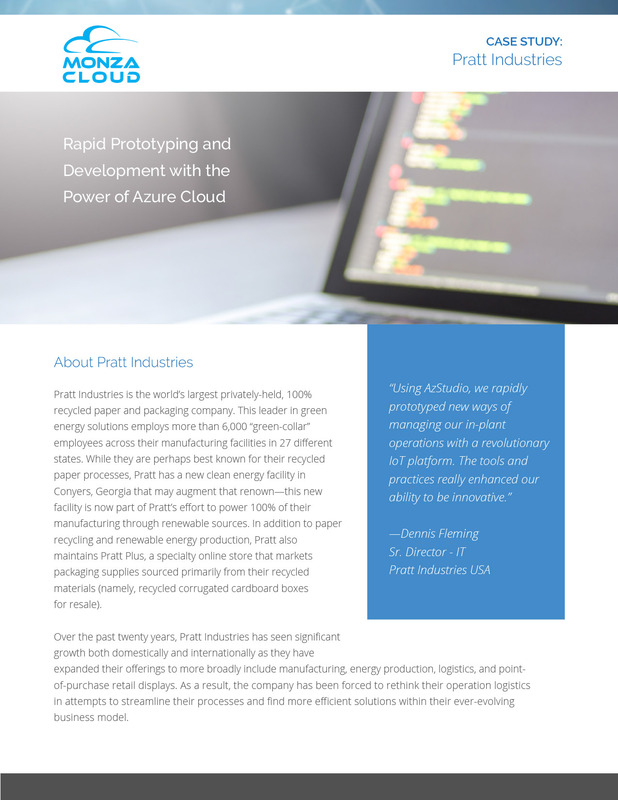 Read more about how AzStudio’s advance Azure Cloud Development Tools enabled the development team at Pratt Industries to quickly transition through the various phases—from development, to prototyping, to PoC and eventually production of a new Pallet tracking solution. 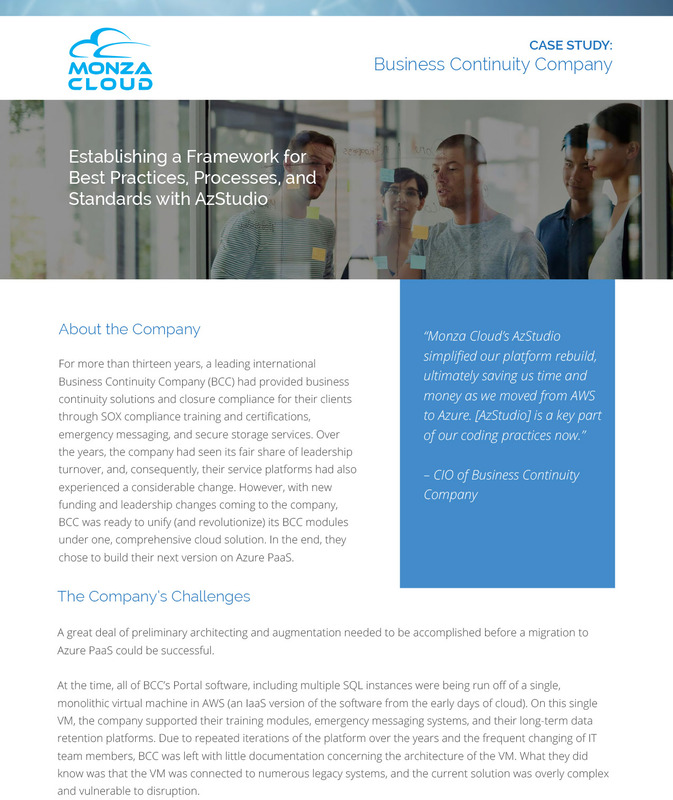 Read how this business continuity company was able to use AzStudio’s pre-built modules to start a baseline framework undergirding their entirely new scalable, Azure-based system. Monza helped them save 40-60% in time and money as they moved from AWS to Azure.